It’s 7AM, and you couldn’t be madder – while you left your backyard and garden immaculate when you went to sleep, you wake up to find it looking like a World War I battlefield. Huge craters of dirt litter the backyard, plants are torn up, and the beautifully mown grass you spent hours on yesterday is just demolished. While the temptation is just to blame it on ‘dogs being dogs,’ it’s a little more complicated than that. The act of digging itself can come from a number of factors – some of these are as natural as anything, while others could be the symptom of problems with your dog you might want to look at. Read on to learn how to stop a dog from digging under the fence! For such a simple question, there are a surprising variety of answers to choose from. The cause of your dog’s infatuation with the ground could be anything as simple as trying to hunt for small animals, trying to bury something they found, or simply trying to investigate something they heard underground, like a bug or other small creature. Mostly, digging can actually be really good for dogs – one national survey notes that 83% of dog owners have dogs who dig often. 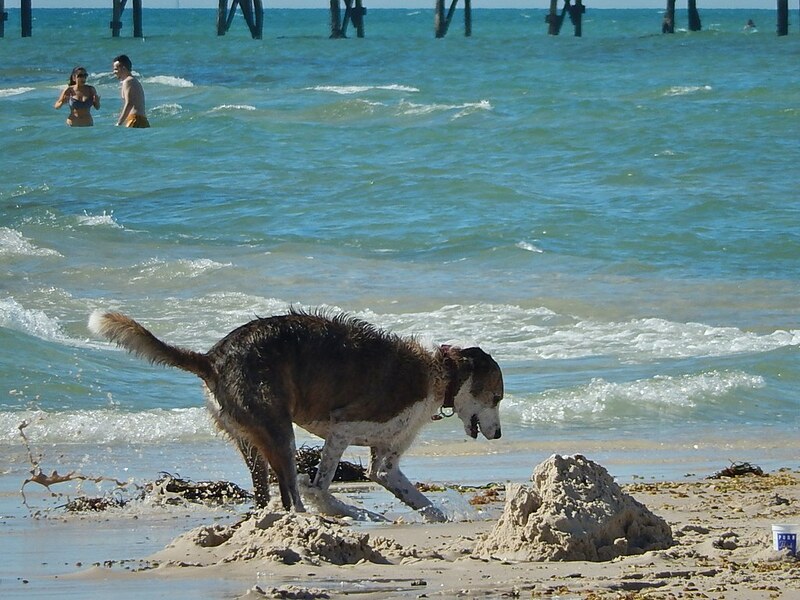 This activity allows them to get some exercise and distract them for awhile; often, dogs will just dig because they’re bored. Dogs have a constant need to let off steam and get all of that vibrant energy out; digging may just be their favorite way of doing that. My Dog Digs. Should I Be Concerned? 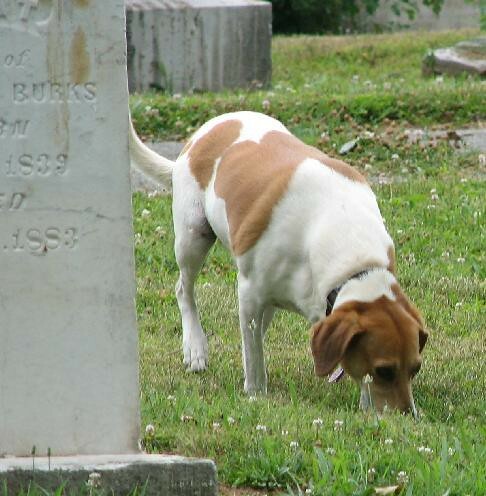 While digging can be harmless for dogs, sometimes it can be the symptom of a bigger problem. Sometimes, depending on your dog’s outlook, they could be suffering from separation anxiety – being in a new environment, or even away from you or their previous owners for a long period of time can lead them to act out because of this anxiety. Dogs can also do it in order to try to escape from their surroundings, especially if they feel confined. Independent of the motivations behind your dogs digging, you may just want to keep your lawn nice. It’s incredibly tough to keep a lawn maintained, and you might want to ensure that your dog is not going to be disrupting the hard work you put in your yard every year. Often, dogs dig in order to increase their comfort level, or to stay cool in warmer months. In that case, digging can be alleviated by offering your dog an insulated doghouse, a fan, or a cool bed that allows for some air circulation. These things will give your dog a place to sleep or lay that is cool and refreshing, and will lessen their need to cool off by digging. No matter what you do, make sure to never punish your dog for digging. Apart from the fact that punishing is never effective to discourage a dog’s behavior, the act is extremely harmful (particularly if your dog is not digging to lash out). Instead, find ways to limit your dog’s digging through the strategic placement of chicken wire, or set out a digging zone for them to offer a single place they can freely dig. This will let your dog exercise their habit without disrupting your own plans for your yard. In the long run, you have to face facts – if you have a dog, they may dig. Whether they are digging to have fun, stay cool, or to deal with something that is on their mind, you will want to make sure you can deal with their issues in as considerate and helpful a way as possible. If you really want to stop your dog from digging, you just have to get to the root of the problem and help your friend get out all that extra energy. It could even involve just playing with them a bit more! I Have a Sick Puppy! What Do I Do (or Don’t Do)? 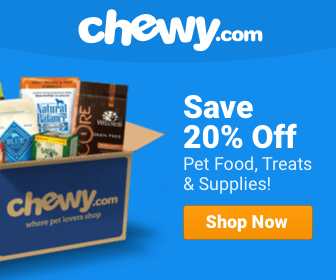 Why Is My Dog Tearing Up the Carpet & What Should I Do? Help! My Dog Poops a Lot! How Much is Too Much? HerePup.com is a participant in the Amazon Services LLC Associates Program, an affiliate advertising program designed to provide a means for sites to earn advertising fees by advertising and linking to Amazon.com. 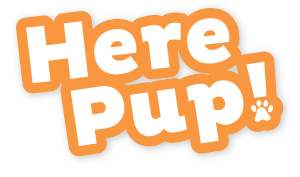 Additionally, HerePup.com participates in various other affiliate programs, and we sometimes get a commission through purchases made through our links.